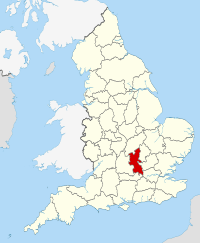 Buckinghamshire (/ˈbʌkɪŋəmʃər/ or /ˈbʌkɪŋəmʃɪər/), abbreviated Bucks, is a county in South East England which borders Greater London to the south east, Berkshire to the south, Oxfordshire to the west, Northamptonshire to the north, Bedfordshire to the north east and Hertfordshire to the east. 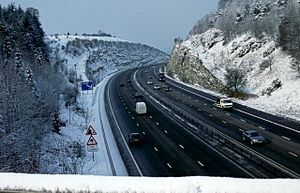 Buckinghamshire is a home county and towns such as High Wycombe, Amersham, Chesham and the Chalfonts in the east and southeast of the county are parts of the London commuter belt, forming some of the most densely-populated parts of the county. 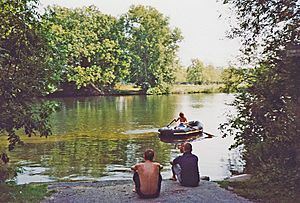 Development in this region is restricted by the Metropolitan Green Belt. 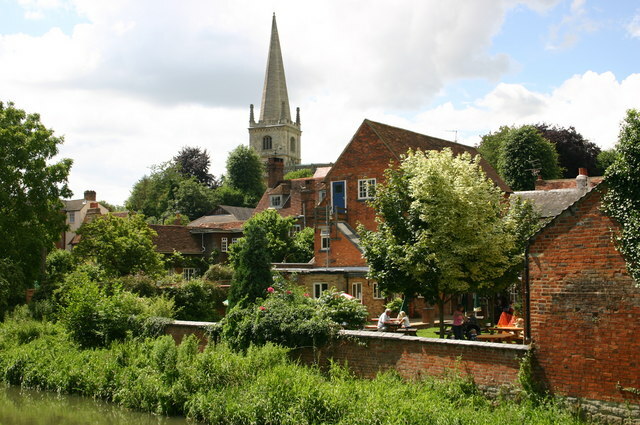 Other large settlements include the county town of Aylesbury, Marlow in the south near the Thames and Princes Risborough in the west near Oxford. 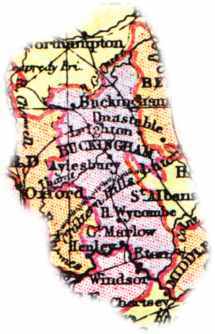 Some areas without direct rail links to London, such as around the old county town of Buckingham and near Olney in the northeast, are much less populous. 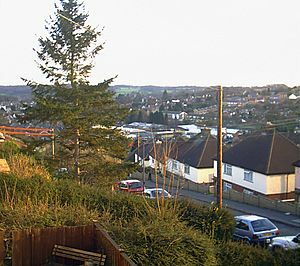 The largest town is Milton Keynes in the northeast, which with the surrounding area is administered as a unitary authority separately to the rest of Buckinghamshire. 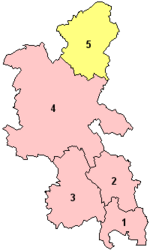 The remainder of the county is administered by Buckinghamshire County Council as a non-metropolitan county, and four district councils. 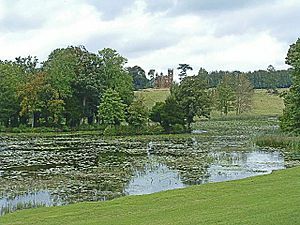 In national elections, Buckinghamshire is considered a reliable supporter of the Conservative Party. As can be seen from the table, the Vale of Aylesbury and the Borough of Milton Keynes have been identified as growth areas, with a projected population surge of almost 40,000 in Aylesbury Vale between 2011 and 2026 and 75,000 in Milton Keynes within the same 15 years. 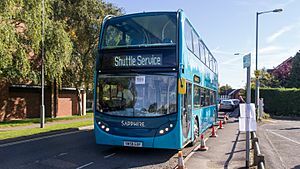 Sports facilities in Buckinghamshire include half of the international Silverstone Circuit which straddles the Buckinghamshire and Northamptonshire border, Adams Park in the south and stadium:mk in the north, and the county is also home to the world-famous Pinewood Studios. Dorney Lake, named "Eton Dorney" for the event, was used as the rowing venue for the 2012 Summer Olympics. 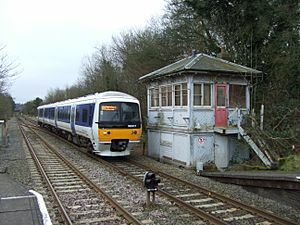 Chiltern Railways is a principal train operating company in Buckinghamshire, providing the majority of local commuter services from the centre and south of the county, with trains running into London Marylebone. First Great Western provides commuter services from Taplow and Iver into Paddington. 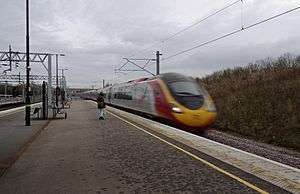 London Midland provides commuter services from Milton Keynes Central into Euston whilst Southern provides services (via the West London Line) from Milton Keynes to Croydon. 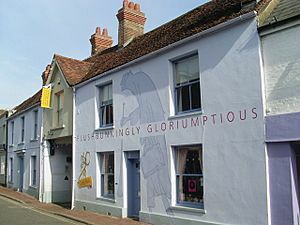 Buckinghamshire Facts for Kids. Kiddle Encyclopedia.